Co-Optimus - News - Watch Us Play The Forgettable Dungeon, What's this Game About Again? Watch Us Play The Forgettable Dungeon, What's this Game About Again? We don't normally cover Kickstarter games, but sometimes a game is far enough along and is fun enough it's worth looking at. 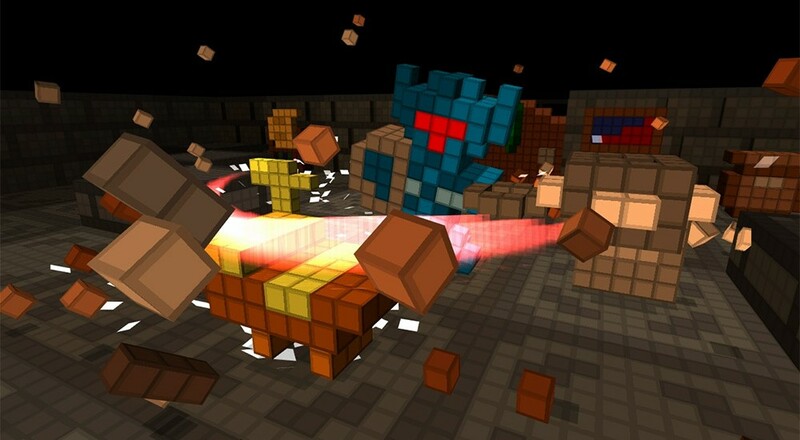 The Forgettable Dungeon is a co-op hack and slash game similar to Gauntlet, built on a voxel engine giving it a unique look and feel. It's developed by Happy Box games, a one man game development studio from Boston. Players can customize their character by drawing a 2D sprite and the game converts it into a 3D character to play as. Featuring both local and online co-op play, you'll enjoy a rogue like experience that feels really good so far. The combat is fun, there's plenty of things to explode in voxely goodness, and the custom character creator is easy to use. Check out the video below (warning, it starts with a little bit of "fowl" language) - and then check out the Kickstarter which has a few days to go as of the time of this writing. Page created in 1.3334 seconds.